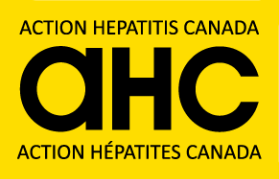 All in all this year has been quite mixed for people suffering from hepatitis C in Canada! For those infected via tainted blood in the pre86 – post 90 group there was disappointing news. The fund is out of money and the federal government isn’t being compassionate at all! In fact if you are mono-infected and not an active drug user in Canada and you are in the working class there is very little help out there for you. Again, we remind you that, if you have been turned down for treatment because of your fibrosis score, or you have been denied PharmaCare assistance for treatment but have instead been asked to cough up somewhere between $20K and $35K for treatment in Canada, there are options via the FixHepC clinical trials where you can be cured via certified generics for around $2000 CDN. Please contact us at info@hepcbc.ca for more info on this. As we go into the holiday season, the staff and volunteers at HepCBC wish all of our readers and clients a time of health and happiness – something which is often scarce in our community. May you be cured! May you have no lasting side effects! This week we have some updated treatment news: New treatment from AbbVie seeking approval in the US, reports on the status of prisoners with HCV, on mortality and HCV, on diabetes and HCV, and an item on medical tourism to Egypt for those of you who are able to consider this option. This week saw a call for more people to provide more input at yet more hearings for the pre86/post90 group in an attempt to get some justice out of this deplorable mess. The compensation fund is dry for this group! As well, FINALLY the Government of Canada is ready to pass an act legalizing safe injection sites, as well as introduce strategies to combat the fentanyl/carfentanil epidemic. In other news, doctors at the University of Rhode Island may have discovered a dangerous interaction between sofosbuvir and Viread that can severely damage the kidneys. Those who are coinfected with HIV/HCV who are taking tenofovir and Harvoni or Epclusa (etc) at the same time have to be really careful.